I like it! Thank’s for your wook! I have noticed 2 things about this map. Firstly, the objectives are stated twice – the 2nd set of objectives are exactly the same as the first. 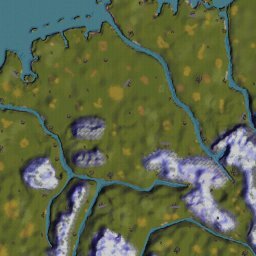 Secondly, where you have placed 2 fisheries on the Rhine it has caused the game to create a land bridge across the river in both places so that it’s not a river any more but a series of 3 long lakes. Apart from that the map is superbly designed and a fun scenario. Прекрасная работа, отлично! Спасибо друг. С удовольствием играю на этой карте. Не опускай планку качества. wow, there are villages and towns a lot! Thx. for this map! I play on Win 10 (patched Steam Version) w/out any problems. To master the challenge, you need to connect all main german cities and develop some villages. Therefore you need to build very long tracks, interesting and fun to play!